It was grey, cold and with weather forecasts that Captain Scott would have shuddered at the thought of! Undeterred, our group met in the Charmouth Road car park and descended to the beach, via the new sea wall next to Church Cliffs, with unsurpassed views of Lyme Bay and to Seatown and Golden Cap in the east. After a welcome to the delights of the Jurassic Coast location and an introductory talk, which took in the geology, Mary Anning, coprolites, public toilets, cliff falls, David Attenborough’s ‘Sea Dragon’, an introductions to UKAFH staff and our ‘guest helper’, Brandon Lennon, we all headed east. The geology here at Lyme Regis is quite complex. The cliffs and foreshore between Lyme Regis and Charmouth represent three stages within the Early Jurassic (or Lias) period termed the Hettangian, Sinemurian and Pliensbachian, dating from approximately 199-189 million years ago. Essentially the rocks at Church Cliffs are Jurassic-aged from the Sinemurian stage. The Hettangian stage rocks of the older Blue Lias slowly dips away eastwards beneath sea level and the Shales-with-Beef layer, capped by the Black Ven Marls (part of the Black Ven Mudstone Member) and in turn, part of thr Charmouth Mudstone Formation descend to the beach under Black Ven. The younger Pliensbachian rocks are best studied at Charmouth. During this time a shallow epicontinental sea (less than 100m deep), was present across much of Europe, including most of England, Wales and Ireland, and laid down alternating layers of clay and limestone. At that time, Lyme Regis (as it’s now known), lay closer to the equator, roughly at the latitude North Africa is today. Armed with all the background, our intrepid explorers heading off. The best place to look for fossils is among the pebbles and rock pools on the foreshore, loose fossils including ammonites, belemnites and reptile bones can all be found with a little patience. Fossils can also be found protruding through the surface of the slumping clays along the top of the beach. At high tide the waves wash away the soft clay, leaving the more resistant fossils exposed and able to be collected by hand. Our hunt took place on an exceptionally low tide and Lyme’s famous ledges soon began to appear. This is usually a great place to look, as fossils are washed out of Black Ven’s clays and are deposited in the rocks and boulders and in fissures on the ledges. But finds were remarkably thin on the ground and despite some of our party finding a few very small ammonites, along with fragments from larger specimens, not much else turned up. Andrew Baylis found an ichthyosaur vertebra, which is a common find at Lyme Regis. However, the rain, sleet and snow forecast did not materialise! How wrong can the forecasters get it? As the tide extended further out into the bay, boulders with large ammonite impressions appeared, not dissimilar to those found on the ‘Ammonite Pavement’ on Monmouth Beach. Finding fossils is never guaranteed and participants of this hunt were not disappointed with the few specimens that were found. The coastal scenery was dramatic and the forecast inclement weather held off! Many thanks o all who attended, many of whom went on to the Charmouth Heritage Centre, to see the newly displayed ichthyosaur skeleton, discovered recently at Lyme Regis and made famous by David Attenborough’s ‘Sea Dragon’ BBC documentary. This entry was posted in Reports and tagged ammonite, ammonites, event, lyme regis, lyme regis fossils, reptile. 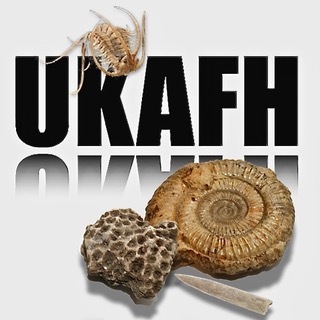 The Royal Institution lecture – Jurassic Britain: Rediscovering dinosaurs and ichthyosaurs.